Surly's former head brewer leaves the Twin Cities for Indiana's 3 Floyds Brewing Co. The former head of brewing operations at Surly Brewing has left the Twin Cities to join 3 Floyds, an Indiana brewery just outside of Chicago, according to a story published by Mpls./St. Paul Magazine on Monday. 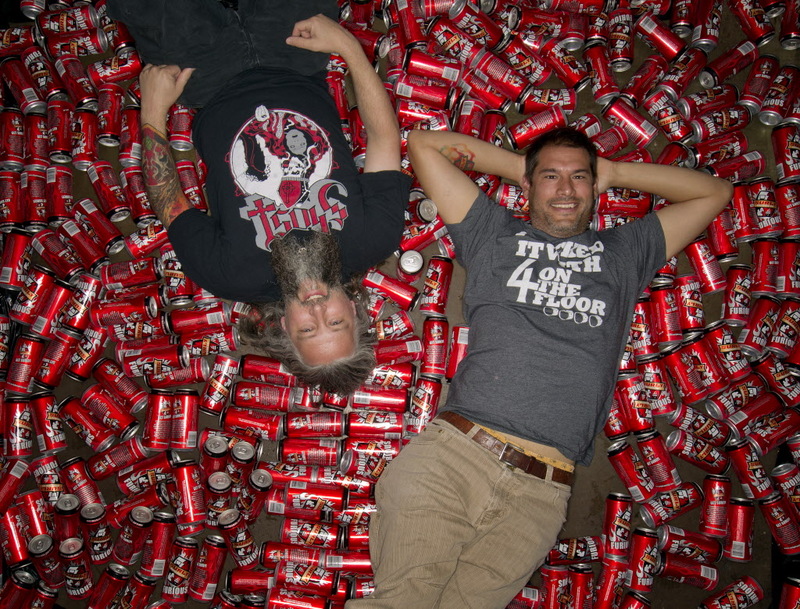 Surly announced in a news release earlier this month that head brewer Todd Haug (pictured, left), who was with the company since it opened in 2006, had resigned. The release said only that Haug was stepping down from his post to “pursue other opportunities and challenges in the industry,” and declined further comment. Haug has not responded to multiple phone calls seeking comment and 3 Floyds did not return a voicemail on Monday. Haug told Mpls./St. Paul Magazine that he would be working with – not replacing – head brewer Chris Boggess as 3 Floyd’s expands and looks to open a new distillery, and would eventually brew some beers of his own. Haug added that his wife Linda, who also previously worked for Surly, will join 3 Floyds as well, in a consulting role with the brewpub. Ansari (pictured, right) noted, in the statement, that “Todd has been an incredibly influential part of Surly since the beginning and was instrumental in building the brewery from the ground up, often with his own two hands; brewing, welding, making connections and forming collaborations to establish the irreverent brand it is today. Surly is credited with making Minnesota history when in 2011 it spurred a law change — the so-called “Surly bill” — that allowed breweries to also sell their products out of taprooms.